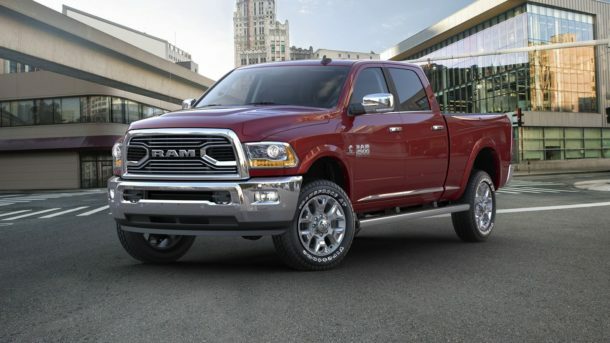 The Italian-American automaker said Friday that it would recall the vehicles, covering a wide spectrum of Ram heavy-duty pickups dating back to the 2009 model year. It also includes some light-duty Ram pickups. The company said it had identified seven injuries and “a small number” of crashes that were “potentially related” to the defect. The recall covers about 1.5 million pickups in the U.S. and more than 300,000 elsewhere. Fiat Chrysler said the issue applies to shifters mounted to steering columns, not rotary-dial shifters or floor-mounted shifters. The issue is not related to a gear-shifting defect that dogged Fiat Chrysler and triggered a federal investigation in 2016 after actor Anton Yelchin was killed in a tragedy involving his Jeep Grand Cherokee. The issue arises when the brake pedal is pressed for a long stretch while the driver is idling in park mode, disabling the brake-transmission shift interlock and then allowing the shifter to move out of park mode. Fiat Chrysler, which will repair the defect for free, advised owners to use the parking brake at all times when parking. Fiat’s $1 billion U.S. investment plan is a year old, but a well-timed announcement and a little praise from the president-elect didn’t hurt. The company said the issue appears more likely to happen when the vehicle is subjected to high temperatures for long periods. Owners will be notified when they can visit dealerships for the fix, which will involve repairing the brake-transmission shift interlock. Affected vehicles include certain versions of the 2010 to 2017 Ram 2500 and 3500; 2011 to 2017 Ram 3500, 4500 and 5500 chassis cabs; 2016 to 2017 Ram 3500 chassis cabs with a gross vehicle weight rating (GVWR) of fewer than 10,000 pounds; and some 2009 to 2017 Ram 1500 pickups. The company said that all 2017 model-year trucks built after Dec. 31, 2016, are not included in the recall.